Amazon Deal of the Day: Anjou Makeup Brushes, 24 Pieces Just $5.59! Today only save 30% on Beauty and Makeup from Anjou Naturals! This special sale makes the Amazon best selling Anjou Makeup Brushes, 24 Piece set just $5.59! 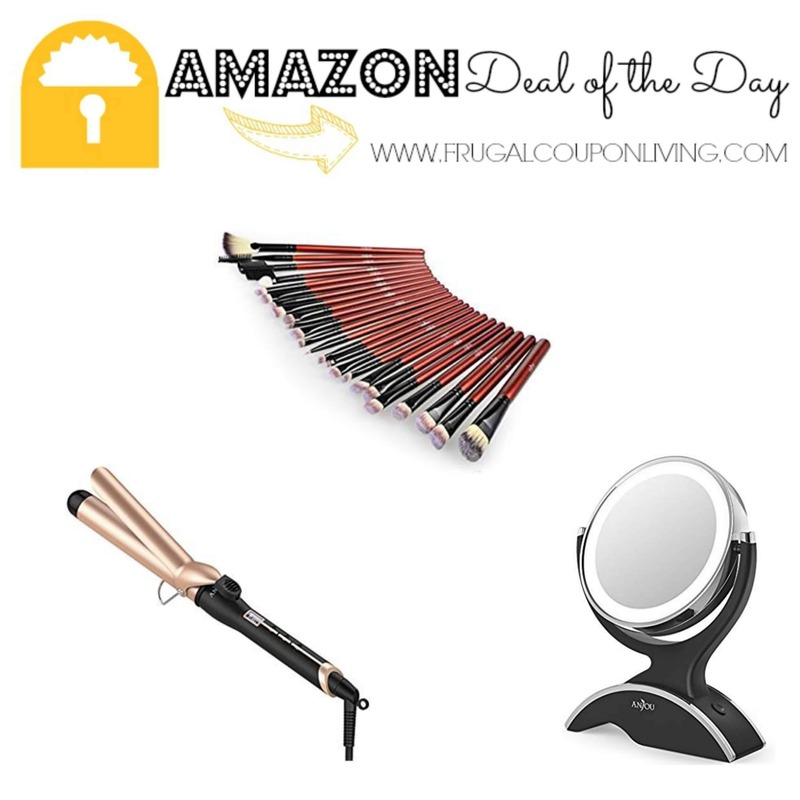 Also available is this Makeup Mirror LED Lighted with 1X / 7X Magnification for $18.99 and this Anjou Curling Iron 1.25 inch with Tourmaline Ceramic Coating for $20.99. All three products have very solid customer ratings. I think the make up brush deal is too good to pass.